Inky Co. is a design focused paper goods brand based in Melbourne, Australia founded by graphic designers Chloe and Carolyn in September of 2011. 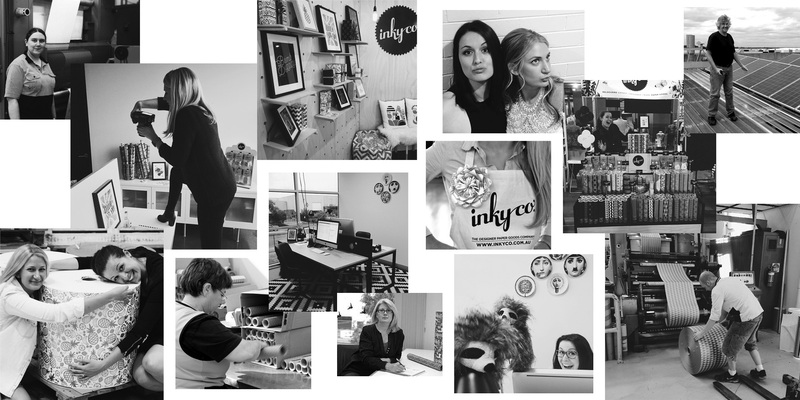 Over the last 5 years Inky Co. has jumped from an online presence to having a quickly growing list of bricks and mortar stockists across Australia, New Zealand and Internationally. The Inky Co. philosophy is to design and manufacture in Melbourne using a combination of age old production techniques, like letterpress and flexographic printing, with environmentally friendly materials to produce beautiful Australian made products. This site will be constantly evolving. Check out the Inky Co. blog to see our newest product releases as well as the things we're loving. Our DIY section is fantastic for the crafty at heart, with great tips and projects, it will keep you busy for hours. So make sure to stay in touch!